Fishing on a boat is a completely different experience than fishing on shore. In large bodies of water you have an advantage. You can access those hard to reach places and deeper down. Not only are boats great for fishing, they are one of the best ways to spend time outside. Are you looking for a fun and sporty way to cruise around? Check out the Sessa C38 cruiser. It will be your home away from home. This featured boat has a roomy cockpit with U-shaped seating. Plenty of space for lying around and there's even a fold out table. Of course, its packing twin 300hp Volvo Penta engines. It's in the more expensive range but you get your money’s worth! Not in your budget? Find used boats for sale. You can buy a used boat and trade or sell your current boat. Whether you're looking for a cruising boat, off-shore fishing boat or a yacht, you will find quite a variety of power boats. 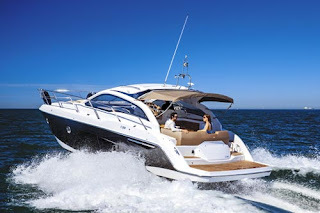 There are new and used boats for sale from boat owners and dealers in Australia. Use this site to narrow down your search and easily find the boat of your dreams that has the features you are looking for and is within your price range.